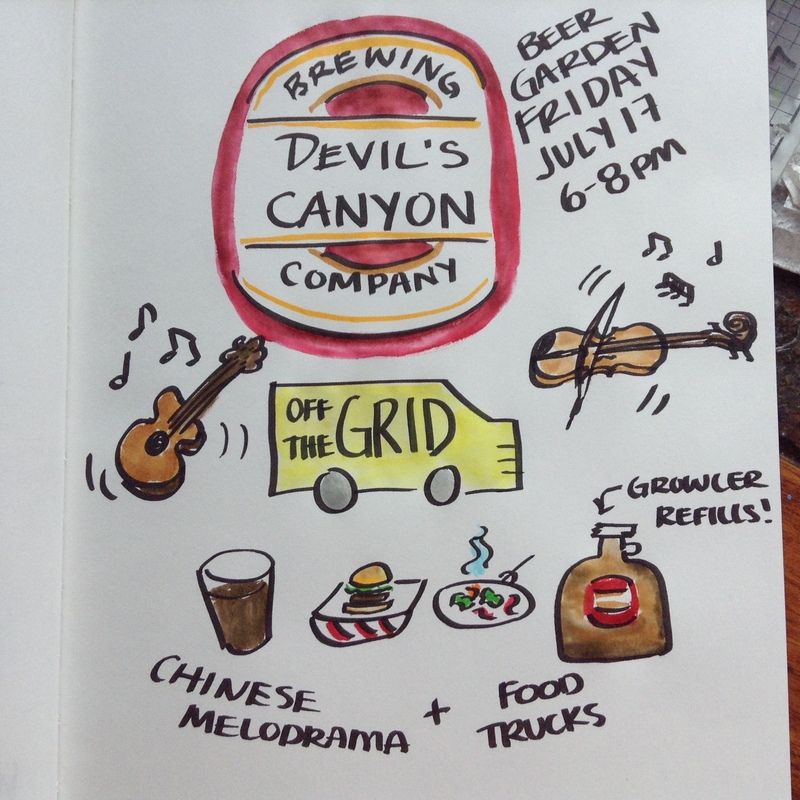 Join us for Beer Garden Friday at Devil’s Canyon Brewing Company in San Carlos! What: There will be food trucks from Off The Grid AND live music by Chinese Melodrama! Tags: beer, brewery, devil's canyon, food, food trucks, friday, growlers, live, local, Music, off the grid, san carlos. Bookmark the permalink.